If you’ve always wanted to take scuba diving lessons, experience unparalleled adventure and would you like to expand your skills to a higher level rapidly?, than we have a perfect package deal for you. 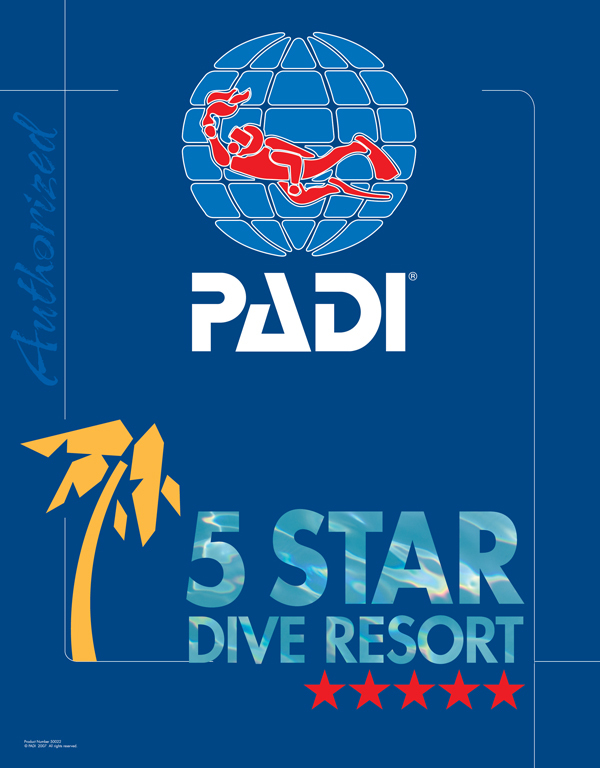 Exploration, Excitement, Experiences, with the PADI Open Water Diver course – the world’s most popular and widely recognized scuba course followed by the PADI Advanced Open Water Diver course. You don’t have to be “advanced” to take it – it’s designed to advance your diving, so you can start right after earning your PADI Open Water Diver certification. • Pool Training- Your instructor will put into practice the techniques you learned in the academics program. • Four Open Water Training dives – Get ready to experience everything you’ve learned with the freedom of open water. As soon as your open water training dives are approved by your instructor you will be a certified. • Deep and Underwater Navigation – and you choose the other three, for a total of five adventure dives. 7 nights with Beyond the Corals in one of our beautiful apartments, PADI open water diver course and the PADI advanced open water diver course, including all educational materials and use of all dive equipment. You will join a total of nine open water dives en will receive two off the most coveted certifications. Book and pre pay this awesome package and get a 10% discount. You won’t pay $1085 but only $975. Are you already certified as an Open Water Diver and interested in nature and our precious underwater world? Learn more about symbioses, underwater ecology, and aquatic plant and animal habitats and what you can do to save this for our future generation? Choose to make a difference and we have the package to go with that. 7 nights with Beyond the Corals in one of our beautiful apartments, all necessary educational materials for all 5 specialties, classroom sessions, 6 dives including all dive equipment and a minimum of 5 specialty certifications. Book and pre pay this awesome package and get a 10% discount. You won’t pay $886* but only $795*. Are you already an Advanced Open Water Diver and looking forward to a new adventure? Scuba divers describe the PADI Rescue Diver course as the most challenging, yet most rewarding course they’ve ever taken. You will enroll in our Emergency First Responder course, this courses meet the CPR and first aid training requirements for the PADI Rescue Diver course and all professional-level ratings. After this you will choose 5 challenging specialty courses. Yes you are right, you will earn at least 7 certifications. Join the best of the best in recreational scuba diving and live the dive life as a PADI Master Scuba Diver. The Master Scuba Diver rating places you in an elite group of respected divers who have earned this rating through both significant experience and scuba training. Fewer than two percent of divers ever achieve this rating. When you flash your Master Scuba Diver card, people know that you’ve spent time underwater in a variety of environments and had your share of dive adventures. 10 nights with Beyond the Corals in one of our beautiful apartments, all necessary educational materials for all mentioned courses and specialties, classroom sessions, all mandatory dives including all dive equipment and 7 certifications. Book and pre pay this awesome package and get a 10% discount. You won’t pay $1568* but only $1395*. Already certified open water diver and feel like a unique opportunity to spend time with the ocean in a meaningful, rejuvenating, and inspiring way? We offer a great package for you! The new moon is a monthly opportunity to take time to look inward, focus on goals and ambitions, and set intentions to continue to work towards being your best self. Be a Mindful Diver with Beyond the Corals and dive into life. During this 7-day New Moon Wellness Retreat, retreat goers stay on-site at the beautiful, private, relaxing resort; Beyond the Corals. Upon arrival, guests will come together for a restorative yoga class to ease the impact of travel, followed by a welcoming event. Days two and three are spent going through the Mindful Diver PADI Distinctive Specialty course, the only course of it’s kind in the world where divers learn scientifically supported mindfulness skills to use to enhance their experiences on land and underwater. Upon completion of the Mindful Diver course, the remaining days include an unforgettable New Moon Ostracod dive, and twice daily yoga sessions. No mindfulness or yoga experience required. Must be over 18 and an already certified open water diver. Retreat Costs $899 for shared room / $1149 for private room. Book as a group and save 10%! * All prices are starting prices. Prices are based on stay and participation of at least two persons and may vary depending on the choice of apartment, the length off your stay and chosen (specialty) courses or packages. Costs for e-learning are not included.